Naftali Bennett defended calls to reign in UN for its warped approach in condemning Israel while condoning ruthless dictatorships. 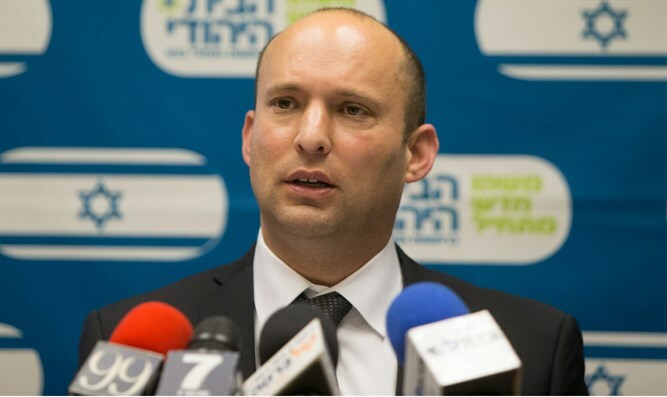 Naftali Bennett defended the calls to cut UN support in the wake of the anti-Israel Security Council resolution, stating that the UN is a "ridiculous body fighting the free world rather than fighting terrorism." Bennett said that the UN's "warped" view of reality caused it to focus obsessively on Israel rather than on other countries like Iran and Venezuela which are "huge abusers of human rights." Bennett responded to claims that Israel is violating international law by building settlements and is working to prevent a two-state solution by stating that "There is already a Palestinian state in Gaza and it turned into a terror state firing rockets on Tel Aviv. There is no room for another terror state in the heart of Israel. Israel is not violating international law by building in its own territory. It was granted to us by the League of Nations in 1920 and the Bible also gives Israel full rights over the entire land of Israel."